In the Transport in the Xylem unit we will learn how plants are able to move water and nutrients from the roots to the leaves. Transpiration is the driving force that moves water through the plant. Transpiration is the evaporation of water from the of water from the surface of leaf cells in actively growing plants. This water is replaced by additional absorption soil leading to a continuous column of water in the plant’s xylem. Plants reduce water loss by closing their stomata, developing thick cuticles, or by possessing leaf hairs to increase the boundary layer. Stomata are quick to respond to environmental cues to protect the plant from losing too much water, but still allowing in enough carbon dioxide to drive photosynthesis. Structure and function are correlated in the xylem of plants. State a similarity and a difference between transpiration models and transpiration in plant tissues. 9.1 U 1 ​Transpiration is the inevitable consequence of gas exchange in the leaf. CO2 is needed for photosynthesis to take place in the leaves and O2 is released as a by-product of this process. Gas exchange between these two gases occurs through the stomata. When the stomata are open and gas is exchanged, water is also lost through transpiration. Guard cells regulate transcription by opening and closing the stomata.. Stomata open and close depending on the turgor pressure in the surrounding guard cells. .When guard cells take in water, the turgor pressure increases, the cells swell causing them to bow outwards, thus opening the stoma.. When the guard cells lose water, the turgor pressure decreases and the guard cells become flaccid, causing the stoma to close. There is also adhesion between water molecules and the inside of the xylem vessels.. Cohesion and adhesion both help maintain the water column all the way up from the root to the leaf. Evaporation occurs when some of the light energy absorbed by the leaf is converted to heat, thereby raising the temperature inside the leaf changing the water into water vapour. Transpiration is the evaporation of water from the leaves, stems and flowers. The majority of water lost during transpiration is through openings on the bottom of the leaves called stomata. Transpirational pull results when water evaporates from the leaves and stems. More water is drawn up through the plant to replace the water that is lost. Transpirational pull results from the combined forces of cohesion and adhesion. Water moves into the roots by osmosis through the cell walls (apoplast pathway) and through the cytoplasm (symplast pathway) because the concentration of solutes inside the cells is greater than outside the root cells due to active transport of mineral and ions. 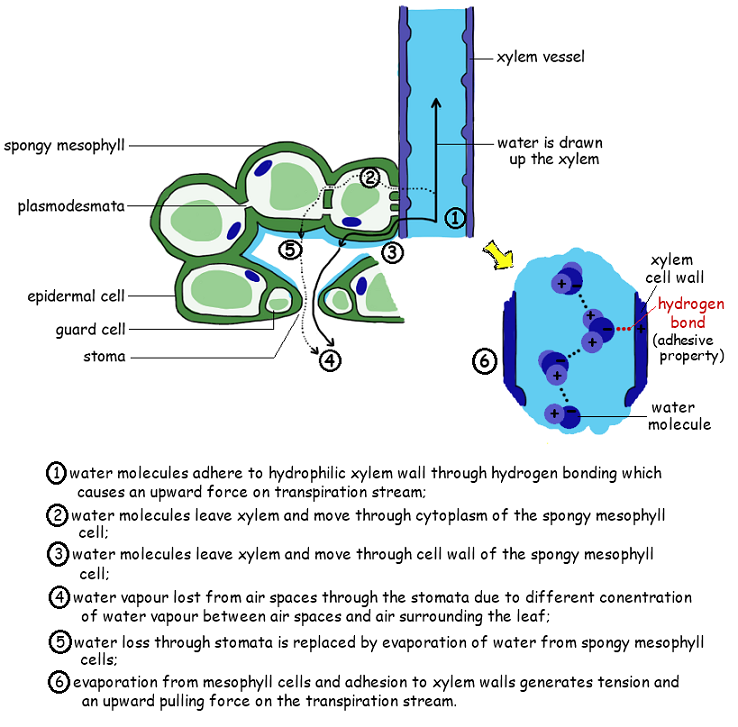 9.1 U 3 ​The cohesive property of water and the structure of the xylem vessels allow transport under tension. Xylem vessels are transport tissue found in vascular plants composed of a number of different types of cell, including long, continuous, thin, usually dead cells known as tracheids and vessel elements. 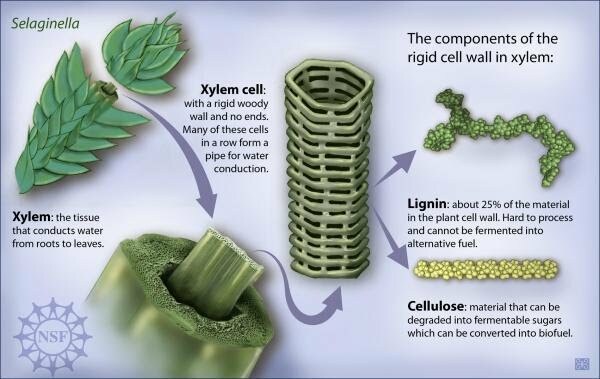 Xylem vessels have a cell wall strengthened with lignin wich thickens and makes them stronger. Since atmospheric pressure is greater than the pressure inside the xylem vessels, the ridged structure prevent them from collapsing. Water molecules cling together by hydrogen bonds between the molecules. This is know as cohesive forces and helps water to to be pulled through the plant. Along with the adhesive forces of water molecules to the xylem walls, a strong tension force is created within the xylem vessel. 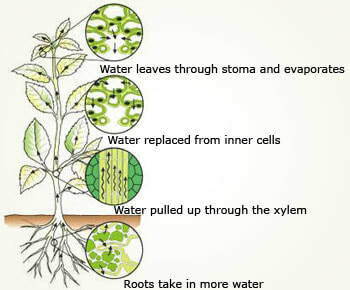 The cohesive property of the water provides an unbroken column of water in the xylem throughout the plant. Failure to have the cohesive property would stop all flow of water through the xylem vessels. 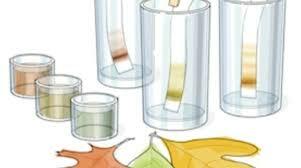 9.1 U 4 ​The adhesive property of water and evaporation generate tension forces in leaf cell walls. 9.1 U 5 ​Active uptake of mineral ions in the roots causes absorption of water by osmosis. 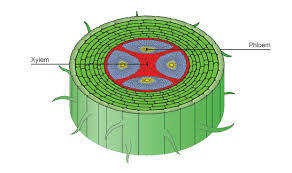 If the mineral ion concentration of a certain ion is greater inside the root cell than the surrounding soil, mineral ions have to be actively transported into the root cell. In addition the charged particles cannot directly cross the cell membrane because of the non-polar region inside the bilayer. Proton pumps use energy (ATP) to pump protons (H+) out of the root cell into the surrounding soil. This results in a higher concentration of protons outside the root cells creating an electrochemical and concentration gradient. H+ can combine with sucrose, NO3-, PO43-, and other anions to bring them back into the root cell through protein channels, following the concentration gradient established by the proton pumps. K+ ions can flow directly through special channels following the electrochemical gradient created by the proton pumps. Cations such as potassium can also enter the root cell through specialized potassium pumps that use ATP to pump K+ directly into the cell. 9.1 A 1 ​Adaptations of plants in deserts and in saline soils for water conservation. Outline strategies used by xerophytes and halophytes to reduce water loss. Xerophytes are plants that are adapted to grow in very dry conditions. Conifers and cactus plants both have reduced leaves; conifers have needles and cacti have spines. This decreases the surface area available for transpiration, thus decreasing water loss. Stomata exist inside of rolled leaves. This creates local humidity within the rolled leaf, thus decreasing the leaf’s exposure to air currents because water vapour evaporates into the small air space inside the rolled leaf rather than atmosphere. This decreases water loss through transpiration. Some xerophytes have a reduced number of stomata. By reducing the number of stomata, water loss through transpiration is decreased because there are fewer holes for evaporation to take place. Thick waxy cuticle makes the leaves and in some cases stems, more waterproof and impermeable to water. This prevents water loss through the epidermal cells. Stomata sunken in pits and presence of hair creates local humidity by trapping moist air close to the leaf. The sunken stoma also decreases exposure to air currents and the hair reduces air flow around the stomata. Both of these factors decrease water loss from the plant. 9.1 A 2 ​Models of water transport in xylem using simple apparatus including blotting or filter paper, porous pots and capillary tubing. 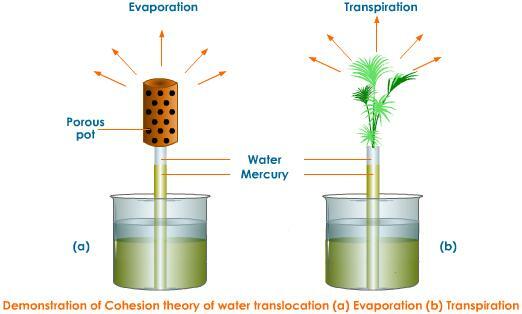 Describe simple models of water transport, inclusive of evaporation, adhesion and cohesion. 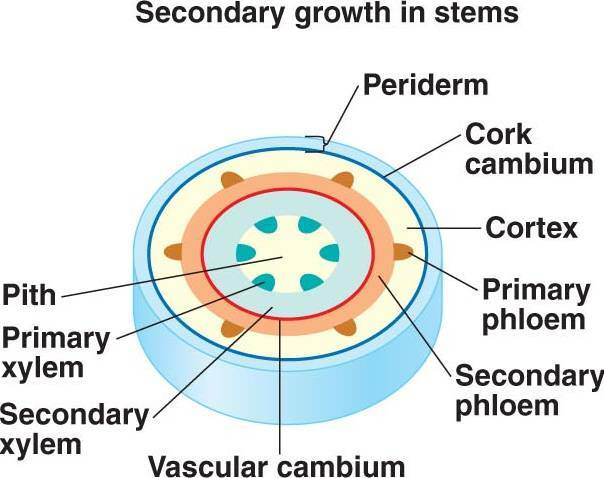 9.1 S 1 ​Drawing the structure of primary xylem vessels in sections of stems based on microscope images. ​A potometer is a device used for measuring the rate of water uptake of a leafy plant shoot. The main reason for water uptake by a cut shoot is transpiration (evaporation in plants) and is affected by the transpiration stream. 9.1 S 3 ​Design of an experiment to test hypotheses about the effect of temperature or humidity on transpiration rates. Hank introduces us to one of the most diverse and important families in the tree of life - the vascular plants. These plants have found tremendous success and the their secret is also their defining trait: conductive tissues that can take food and water from one part of a plant to another part. Though it sounds simple, the ability to move nutrients and water from one part of an organism to another was a evolutionary breakthrough for vascular plants, allowing them to grow exponentially larger, store food for lean times, and develop features that allowed them to spread farther and faster. Plants dominated the earth long before animals even showed up, and even today hold the world records for the largest, most massive, and oldest organisms on the planet. Trees create immense negative pressures of 10's of atmospheres by evaporating water from nanoscale pores, sucking water up 100m in a state where it should be boiling but can't because the perfect xylem tubes contain no air bubbles, just so that most of it can evaporate in the process of absorbing a couple molecules of carbon dioxide. Now I didn't mention the cohesion of water (that it sticks to itself well) but this is implicit in the description of negative pressure, strong surface tension etc. A short clip, adapted from a documentary narrated by Sir Richard Attenborough, on transportation and transpiration in plants. Time-lapse video showing a Lophophora diffusa cactus swelling with its first drink of water after a long winter dormancy.